As my husband and I were running around the H.H. 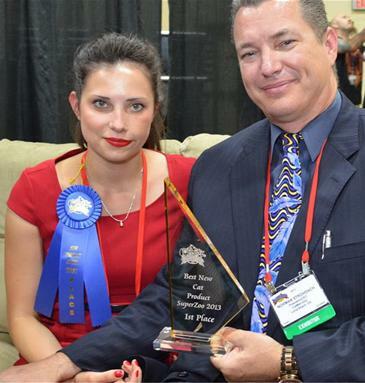 Backer Total Pet Expo this year, we were on the lookout for products that make a pet parent’s life easier. Several companies met our requirement for smart and functional products that had a flair of creativity. One of our favorites was Cat Man Doo (soon to be known as Cats of Thrones), a system to potty train your cat. Once your cat is trained, the need to purchase cat litter, clean the litter box and practice odor control is gone. I think I hear a collective sigh of relief! I don’t have a cat but I am a fan of the feline and know this startling fact to be true: the #1 reason for cat abandonment is due to litter box issues. Either the cat is not using his/her litter box and spraying in the house. Or, the owner just can’t stand cleaning the litter box or the cat urine outside of the box or…the list goes on and on. Eventually, out goes the box and the cat along with it. 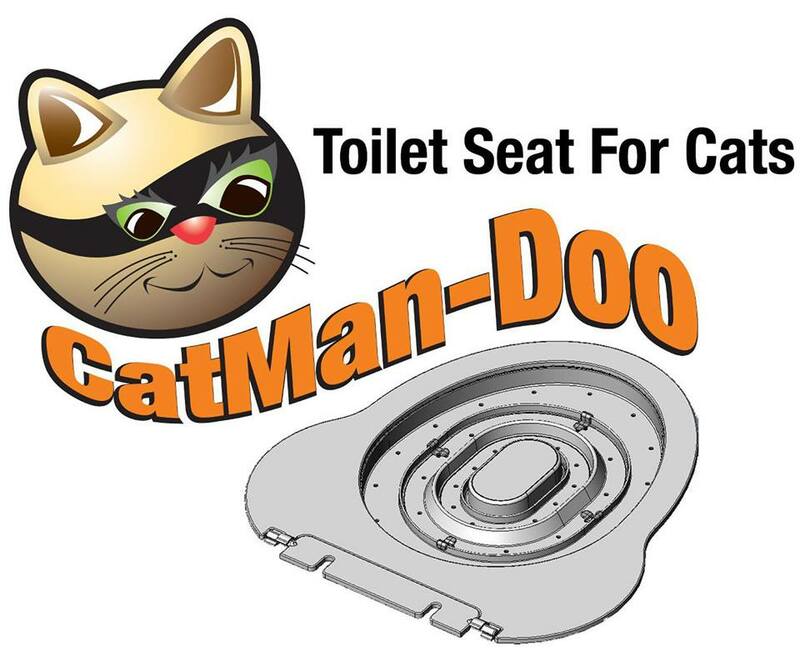 With this in mind, Norman and Victoria Strohdach, founders of Cat Man Doo, got to work and developed, Cat Man Doo, a toilet seat to potty train your cat. Simple. Most of us have heard about potty training a cat but with the Cat Man Doo system, your cat will never, ever have to put her pretty paws on your seat. She will have a throne all of her own. 3. The first stage uses kitty litter in the form of sea salt. The sea salt has a high odor absorption rate and will dissolve into the toilet bowl with warm water. 4. The rest of the stages involve a system of removable trays with a hole in the middle. As the cat progresses through the stages, the hole gets wider and wider until eventually all trays are eliminated. 5. The kitty toilet seat never needs to touch the human seat and can be easily removed. 6. Each Cats of Thrones kit comes with a bottle of Urine Off to clean any misses along the way and Kitty Kaviar treats to entice your cat to the throne. 5. After the training is complete, it requires little effort on the part of the pet parent. If you try Cat Man Doo (Cats of Thrones) with your cat, let us know! This is a new product so we want to hear your feedback Pack Moms! « Pack Mom Daily Bite: Dog Bites and Kids- Who’s to Blame?